"Bolton & Menk was willing to take a chance with me and embraced my ideas for GIS that were not yet widely practiced. Now Bolton & Menk is a premier GIS provider for municipalities in the Upper Midwest." Born and raised in Mankato, John began his career with the firm in 1999 after graduating with a degree in professional geography. His passion for local government and computer science morphed into an interest and expertise in mapping and displaying data. Bolton & Menk was willing to take a chance with John, and embraced his ideas for GIS that were not yet widely practiced. Now Bolton & Menk is a premier GIS provider for municipalities in the Upper Midwest. 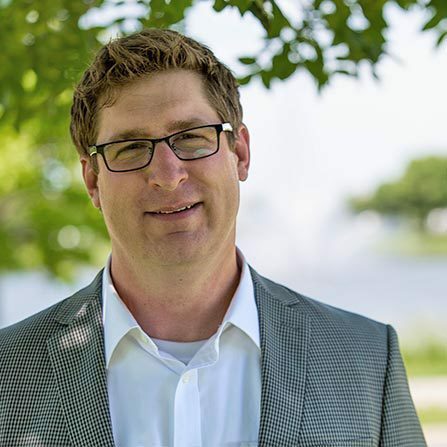 As the leader of the GIS Work Group, John has managed a variety of GIS projects that include municipal implementations of GIS systems, public utility and infrastructure mapping, stormwater management, and web application development. John is a true Minnesotan, with hockey running through his blood. He not only enjoys watching and playing hockey, but is also a youth hockey coach for his young children.